A very pleasant surprise was in store for me this very morning. My barren plant blossomed!! I’ve had it for a year. When I bought it from the nursery, it was flowering (as usual). The salesperson assured me that it would bloom all round the year in Singapore. Ya right… So I bought 3 little pots. After their initial blooms, it was literally greenery all the way. Zzz. I did as I was instructed. I trimmed them after the flowers wilted and added fertilizer. And nothing happened. I faithfully followed the ritual once every few weeks and still nothing happened. Gardening doesn’t seem like my cup of tea. One year later, with just water as their staple, one of them flowered!! 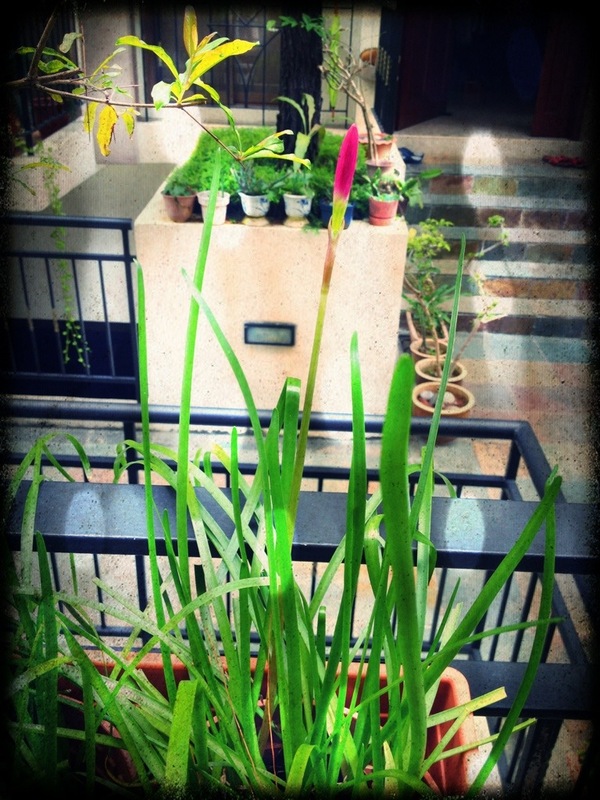 Some people must be thinking… Waaa so *Bo liao… One little flower also blog. Well it’s one of the little things we don’t take note of in life. Smell the flowers that grow at the side of the roads, marvel at the beautiful blue sky (after days of haze), appreciate the little things in life. What Really Causes Heart Disease? !